March 24, 2018 (JUBA) – The United Nations renewed the mandate of the UN Commission on Human Rights in South Sudan for a period of one year. 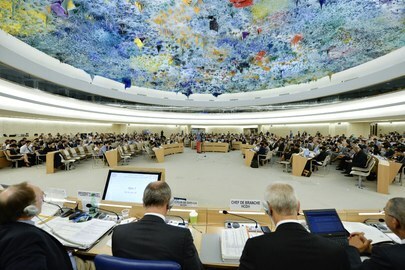 A general view of participants during the 29th Regular Session of the Human Rights Council in Geneva on 3 July 2015 – (UN Photo). Link to image. Established in 2016, the Commission has to conduct independent investigations into alleged gross violations and abuses of human rights and related crimes in the war-torn country. The investigation UN panel which has to provide its findings to the hybrid court for South Sudan, to be established in cooperation with the African Union, submitted its first report on 6 March 2017 and the second on 13 March 2018. The 37th Human Rights Council session in Geneva concluded on Friday its works with the adoption of a resolution extending the mandate of UN Commission in South Sudan. Adopted without a vote, the resolution said deeply alarmed by the report of the Commission on Human Rights in South Sudan, noting that some of the human rights violations may amount to war crimes and crimes against humanity. The United States introduced a resolution on South Sudan that the Council adopted with broad cross-regional support, said the State Department in a statement released on Friday. “We worked closely with South Sudan, members of the African Group, and other member states to ensure the text was adopted by consensus,” said the statement. Washington further hailed South Sudan’s support for the resolution adding that Juba “reaffirmed its commitment to continue cooperating with the Commission and UN bodies and mechanisms”. South Sudanese, regional and international human rights groups called on the Council members to renew and strengthen the mandate of the UN Commission on Human Rights in South Sudan pointing for the importance of its role to achieve justice and to end impunity. “The HRC should also strengthen the resolution to make explicit that the mandate of the Commission includes the identification of individual perpetrators, with a view to enable future prosecutions,” they further requested. 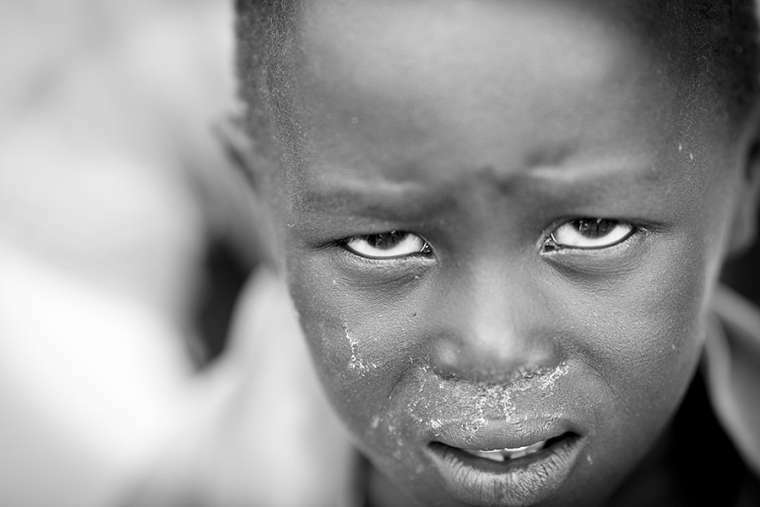 Child in South Sudan. Credit: John Wollwerth/Shutterstock. Link to image. Vatican City, Mar 23, 2018 / 12:43 pm (CNA/EWTN News).- On Friday an ecumenical delegation from South Sudan met privately with Pope Francis and again invited him to visit the war-torn nation, which they said is in desperate need of hope as the situation becomes more dire. “We are here as an ecumenical body…we came as Christians to show that the body of Christ is bleeding,” Bishop Paride Tabani told CNA March 23. “People are dying from hunger, the economic situation is really bad…the people are eager to have consolation, and they are asking ‘when will the Pope come?’” he said, explaining that in the meeting, Pope Francis told the delegation that “my heart is bleeding for the people in South Sudan,” and asked them to pray that the conditions would change, allowing him to come. “You have the youth who don’t have enough food, they don’t have enough medical support. What they get is the minimum. Some have died of malaria, some have died from other things like cholera, and then they don’t have the facilities to prepare the children for the future, education,” he said. It was a common perception in Adolf Hitler’s Germany that working as an assassin for the notorious Nazi’s secret police, the Geheime Staatspolizei (Gestapo), was a noble career in the Deutschland. It is now clear that South Sudanese President Salva Kiir has adopted Gestapo-like tactics to terrorize the people of South Sudan. Kiir’s use of a Gestapo against his critics, political opponents, and civilians is not just wrong, it is hauntingly familiar and a threat to the very existence of South Sudan. What intrigued me about Kiir is the fact that he likes to accuse people who he disagrees with of wrongdoing. He believes that anyone who refuses to abide by his brutality is wrong and that such a person deserves punishment. For example, Kiir, with the help of Ugandan President Yoweri Museveni, orchestrated a scheme to make his rivals look as if they were working on a plan to topple his government. He put his plan in motion on December 15, 2013, by accusing them of plotting a coup, presenting groundless evidence to support his self-managed claim, and then turning around to blame them for being the ones who started the war by attempting to remove him from power. This was, in fact, a colossal lie. Kiir later used this misleading allegation against his opponents the morning following the outbreak of war. He declared that his then-deputy Dr Riek Machar, along with many senior leaders of the Sudan People’s s Liberation Movement (SPLM), planned a coup against his government and that some of the plotters were detained. Kiir also demonstrated this seemingly blame-the-victim strategy in July 2016 after he colluded with Taban Deng Gai to try to assassinate Machar at Juba one (J1). Most South Sudanese were shocked when they saw Kiir accusing Machar of starting the J1 fighting. Kiir’s policy of blaming the victims is the same tactic Hitler used against his rivals. The recent politically motivated death conviction of former Machar’s spokesman, James Gatdet Dak, and South African William John Endley has exposed Kiir’s deceit in a stunning way. The decision by the court proves that Kiir’s mentality is no different from the former Nazi leader, who was very good at targeting his critics. Kiir, through his sycophantic Judges, alleged that Dak committed treasonous acts and that Endley was a spy for the rebel leader Machar. Kiir then falsely blamed the two men for being the masters of their legal troubles — troubles that were carefully fabricated at J1 and given to a Kangaroo court in Juba to punish the men. All the charges labelled against both men were unreasonable in merit. The truth is that Mr Dak was a critic of Kiir’s regime and Mr. Endley was simply an ordinary South African who happened to be a friend of Machar. In a logical sense, Juba’s tyrant does not want anyone who likes Riek Machar. The man has developed a very serious hatred towards Riek Machar. His hatred for the rebel leader has reached the level of madness. Kiir’s policy of rewarding the killers and punishing the victims reminds me of an ancient King who is so consumed by the fantasy of wanting to make people embrace his cruelty, justify his atrocities, and glorify his madness. JUBA (Reuters) – U.S. sanctions on 15 South Sudanese oil operators will work against efforts to restore peace and stability in the nation, the government said on Thursday. The sanctions, which were announced on Wednesday, will require companies and government bodies to apply for special licenses to do business in the United States, an action designed to increase pressure on President Salva Kiir to end the conflict and humanitarian crisis in South Sudan. “These measures are viewed by the Ministry of Petroleum as counterproductive to the shared mission of the Republic of South Sudan’s and the United States’ governments to bring peace and stability to South Sudan,” the ministry said in a statement. It pledged to work with the U.S. Department of Commerce “to remove these restrictions and resume normal relations with the U.S.”. South Sudan has been torn by civil war since 2013 when fighting erupted between troops loyal to Kiir and those loyal to then-Vice President Riek Machar. The conflict has claimed tens of thousands of lives, slashed oil production and driven about a third of the population of 12 million from their homes. Earlier this month, activists accused the government of funneling cash from the state oil company to militias responsible for atrocities and attacks on civilians. Announcing the sanctions, the U.S. State Department also said the government and corrupt officials were using oil revenue to buy weapons and fund militias. Washington has already placed sanctions on South Sudanese military and political figures, and in January imposed an arms embargo to try to halt the flow of weapons into the country, signaling that it had lost patience with the warring factions for ignoring ceasefires. Last year, the government said it planned to more than double oil production to 290,000 barrels per day in fiscal 2017-2018. South Sudan is the most oil-dependent country in the world, with oil accounting for almost all its exports and around 60 percent of its gross domestic product, according to the World Bank. 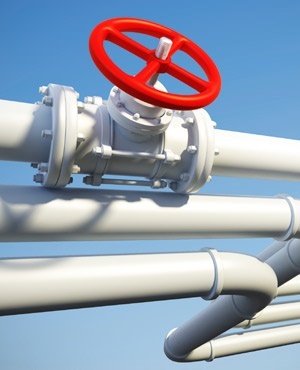 The government said on Thursday it will encourage more investments in the petroleum sector. Petroleum minister Ezekiel Lol Gatkuoth extended an exploration and production sharing agreement with Petronas of Malaysia [PETR.UL] for six years. The deal covers blocks 3 and 7 in Unity oilfield which have been shut down due to the conflict. The government said it had secured a commitment from Petronas to resume operations soon. “Bringing back production at Unity and other fields, and increasing production overall, are the priorities of this ministry,” the minister said in a statement. Washington – The United States imposed restrictions on Wednesday on exports of US technical support to the South Sudanese oil industry, warning that it is fuelling the bloody civil war there. The names of the companies will be added to a US Commerce Department list on Thursday, but South Sudan’s oil is largely exploited though joint ventures between state-owned Nilepet and Chinese, Indian and Malaysian firms. “The listed entities are a source of substantial revenue for the government of South Sudan,” Nauert said in a statement. 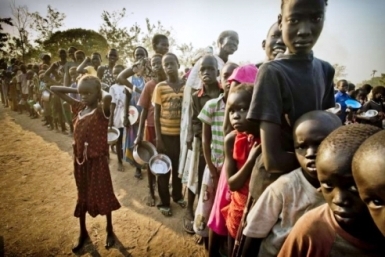 “Unfortunately, the South Sudanese government, and corrupt official actors, use this revenue to purchase weapons and fund irregular militias that undermine the peace, security, and stability of South Sudan rather than support the welfare and current emergency food needs of the South Sudanese people,” she alleged. South Sudan became the world’s newest nation in July 2011 after many years of independence struggle against the Khartoum government of Sudan, but soon fell into infighting of its own. Now, after more than four years of civil war, the government is broke and hyperinflation – which peaked at around 500% in 2016, decelerating to 155% in 2017 – has sent prices soaring. 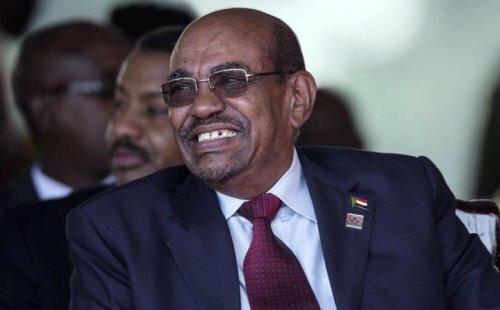 March 21, 2018 (KHARTOUM) – The Sudanese President Omer al-Bashir on Wednesday was among 44 African leaders who have signed the African Continental Free Trade Area (AfCFTA), an agreement that would lead to the continent being a free trade zone. MINGKAMAN, South Sudan (Thomson Reuters Foundation) – In the early morning, smoke from burning cow dung rose over hundreds of animals sleeping tightly side by side, with children dotted between them, warming their hands in the smoke, their faces covered in white ash to fend off flies and mosquitoes. The cattle camps – where South Sudan’s nomads migrate to find pasture during the December to May dry season – are some of the world’s most remote, nestled between the arms of the Nile in Lakes State’s swamps. The United Nations (U.N.) estimates almost three-quarters of the adult population is illiterate – one of the highest rates in the world – and three-quarters of children are out of school. In the camps, everything evolves around the animals – their milk provides nutritious meals for children, manure lights fires and urine is used as a disinfectant hand and face wash.
Migrants in Israel protest against deportation [Twitter]. Link to image. Israel’s Supreme Court has ruled against a controversial government plan that would see tens of thousands of African migrants who entered the country deported, according to BBC News. 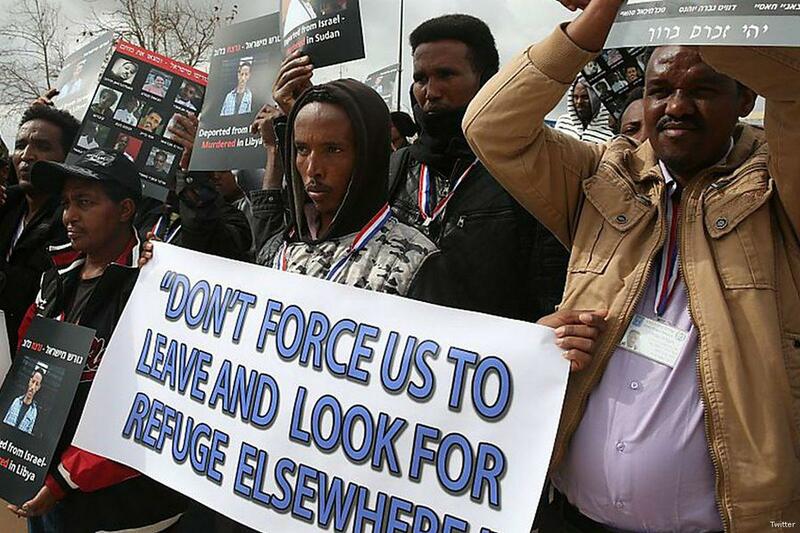 A group of migrants from Eritrea and Sudan petitioned the court earlier this year after they were offered $3,500 and a plane ticket to leave Israel voluntarily by the end of March, or face detention and forced expulsion. The government now cannot deport migrants until the court receives new information on the plan, the Supreme Court said yesterday. The news comes amid reports that five prominent US Zionists have sent a letter to Israeli Prime Minister Benjamin Netanyahu urging him against the mass deportation scheme, warning that it could cause “incalculable damage” to the image of Israel around the world. The authors included, Rabbi Marvin Hier, who offered a prayer at the inauguration of US President Donald Trump. According to figures from Israel’s Immigration and Absorption Authority, some 55,000 African migrants and asylum-seekers currently reside in the country, roughly 90 per cent of who hail from either Sudan or Eritrea. Most of them arrived in Israel — via Egypt — during the period from 2006 to 2013 before a security fence was erected along the border between Israel and Egypt’s Sinai Peninsula. Israel is known for describing migrants as “infiltrators”. 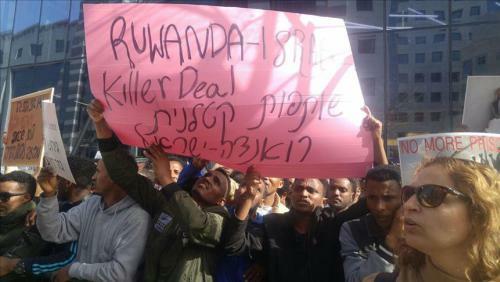 housands of African asylum seekers protested outside the Rwandan embassy in Israel [File photo]. Link to image. Since 2012, Israel has deported about 20,000 African migrants and asylum-seekers who illegally entered the country. The majority do apply for asylum in Israel, but it is rarely granted, with only ten Eritreans and one Sudanese national granted official refugee status, out of 13,764 asylum applications submitted as of July. With both Rwanda and Uganda insisting that they will not welcome asylum-seekers deported from Israel, the UN refugee agency UNHCR asserts that Israel should now properly review their status and consider them for asylum within Israel. At the end of last month, hundreds of African migrants in Holot detention centre started a hunger strike in protest of Israel’s disputed policy, after seven Eritreans were jailed for refusing to leave the country. In January, Israeli pilots made headlines after they refused to fly planes that were forcibly deporting African migrants back to their countries of origin. “There is no way that I, as an air crew member, will take part in flying refugees/asylum seekers on their way to a destination whose chances of survival after reaching it… are close to zero,” wrote pilot Shaul Betzer on his social media account. UNICEF says children continue experience extreme suffering as a result of conflict in South Sudan and remain vulnerable to disease outbreaks (Photo: F. Noy/UNHCR). Link to image. March 17, 2018 (JUBA) – The European Union (EU) has donated 8 million Euros (about $10 million) for the thousands of children facing life-threatening conditions as a result of the conflict in South Sudan. The funding, it stated, has been used to provide psychosocial support, life-saving vaccines as well as nutritional supplements. In the area of nutrition, the ECHO funding has reportedly enabled over 160,000 children be treated for severe acute malnutrition. “We are very grateful for the continued support of the European Union, who remain one of our most crucial partners in responding to the ongoing humanitarian crisis,” said Mahimbo Mdoe, UNICEF’s Representative in South Sudan. “With these funds, we have been able to assist some of the most vulnerable children in the country, enabling them to lead healthier and more fulfilling lives,” added the official. Last year, with the support of the EU and other key donors, UNICEF and partners were reportedly able to immunize over 1.8 million children against measles, provide nearly 300,000 children with psychosocial support and admitted 206,000 children suffering from severe acute malnutrition into therapeutic feeding programmes. Since 1992, the European Commission has partnered with UNICEF to reach populations affected by emergencies with life-saving aid. March 17, 2018 (PARIS) – The opposition umbrella Sudan Call Saturday has accused the government of reneging on the Roadmap Agreement signed in 2016 and renewed its rejection of the government-led national dialogue process. 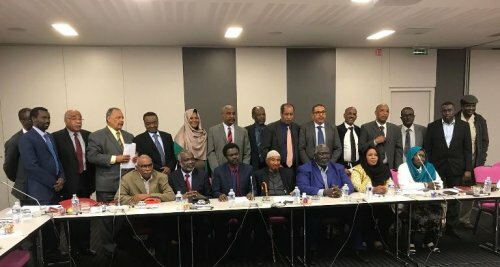 The alliance, which gathers political and armed opposition groups, met in Paris from 13-to 17 March to discuss a joint position on the African Union-brokered roadmap and chose the National Umma Party (NUP) leader Sadiq al-Mahdi as the chairman. According to a joint statement released at the end of the 4-day meeting, the opposition groups discussed the roadmap agreement and agreed that its importance lies in the fact that “it is the only document signed between the parties to the conflict in Sudan with the support of the regional and international community” which cosigned it as witnesses. The Roadmap agreement was brokered by the African Union High-Level Implementation Panel (AUHIP) between the government and a number of political and armed opposition groups providing to stop the war and hold an inclusive dialogue between the warring parties. The opposition statement stressed that the roadmap was based on the African Union Peace Security Council resolutions 456 and 539, which call to implement confidence-building measures including stopping the war and ensuring freedoms to create a suitable atmosphere before the process. “The Sudan Call forces have confirmed they have no truck with the (regime-led) dialogue or the implementation of its outputs,” emphasized the statement, adding they seek an equal political process to achieve a just peace, democracy and citizenship without discrimination. The Sudanese government proposes that the opposition groups directly join the constitutional process, based on the outcome of the government-led dialogue process, after the signing of peace agreements on Darfur and the Two Areas. Malik Agar the leader of one of the SPLM-N factions told Sudan Tribune that they sent a letter to the African Union mediation including a detailed position on the roadmap. He said they are now ready to meet the mediation and they expect an invitation at any time. Last January, the opposition groups declined to attend a consultation meeting with the mediation to denounce the arrest of opposition leaders inside the country after a series of protest against the rising prices in the country. The meeting was attended by Sarah Nugdalla who was among the few opposition leaders to come to the meeting directly from Khartoum. Also, the SPLM-N al-Hilu didn’t take part in the opposition gathering. The meeting unanimously elected Sadiq al-Mahdi as the Chairman of the Sudan Call Leadership Council. “His task is to supervise, plan and manage the work of the Sudan Call and its representation in the various forums,” said the statement. Minni Minnawi, Sudan Liberation Movement leader, has been selected as the secretary-general and he should be assisted by two deputies. The leaders of the other groups, including Agar, Justice and Equality Movement leader Gibril Ibrahim and Omer al-Digair of the Sudanese Congress Party are members of the leadership body.